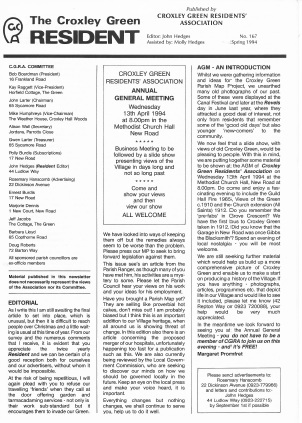 Why do we need a Village Residents Association when we have a Parish Council? 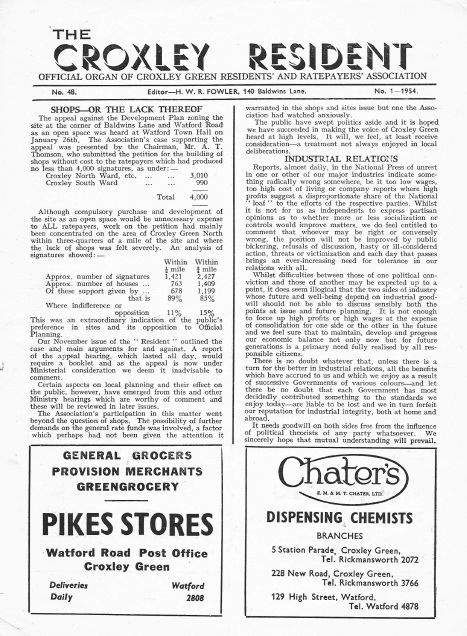 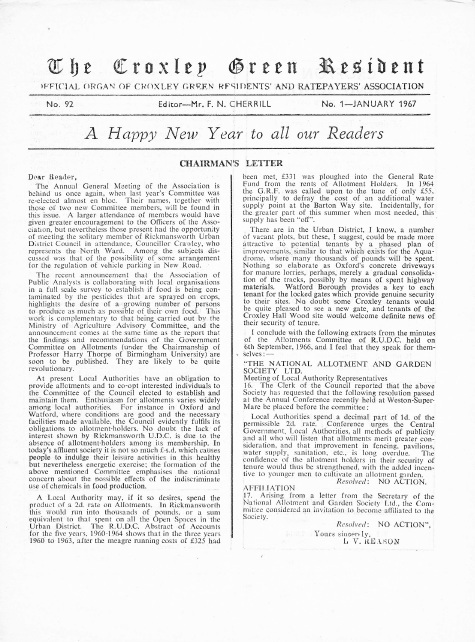 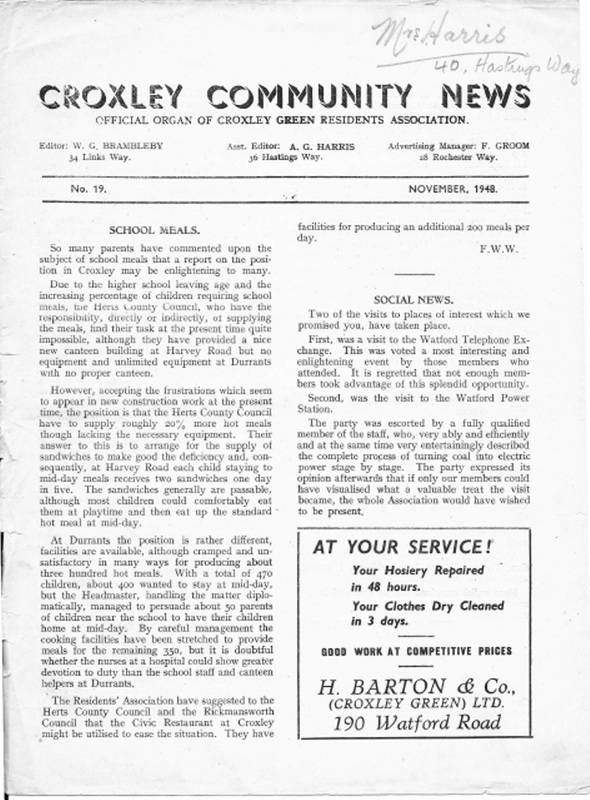 Let's go back a bit to 1939 for it is then that the Association was founded in a bid to fight on behalf of residents in the construction of the main drainage scheme for the village. 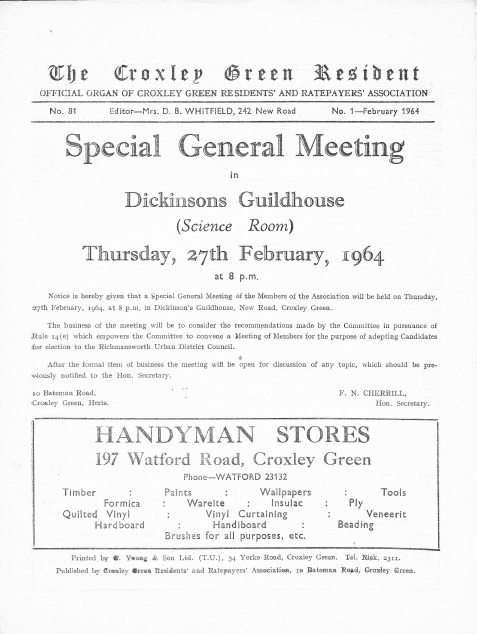 For over 75 years the Association has been here to support residents in issues affecting them and the village. 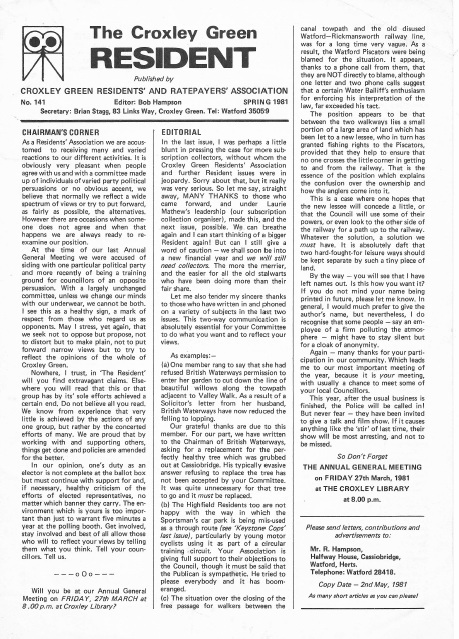 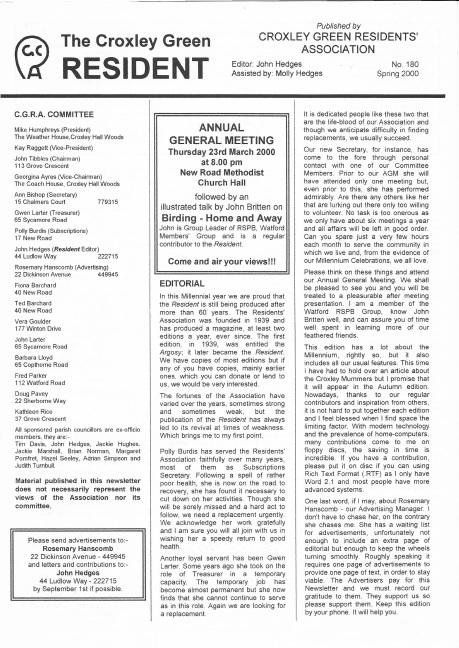 The Resident newsletter has been a constant feature and, to this day, there is a ready resource of willing contributors of articles and features, local sponsors and avid readers. 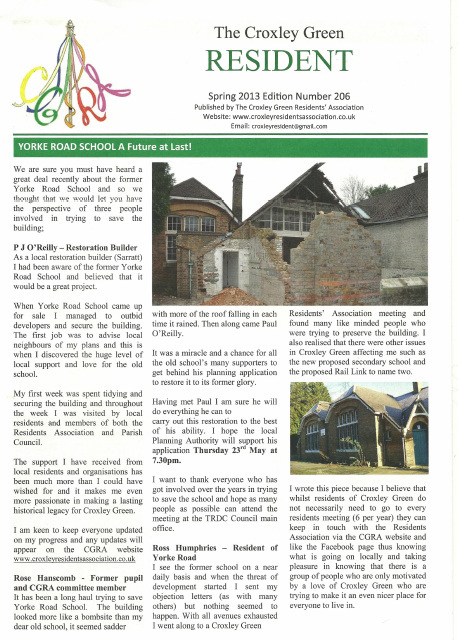 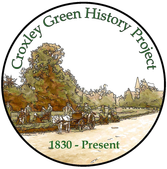 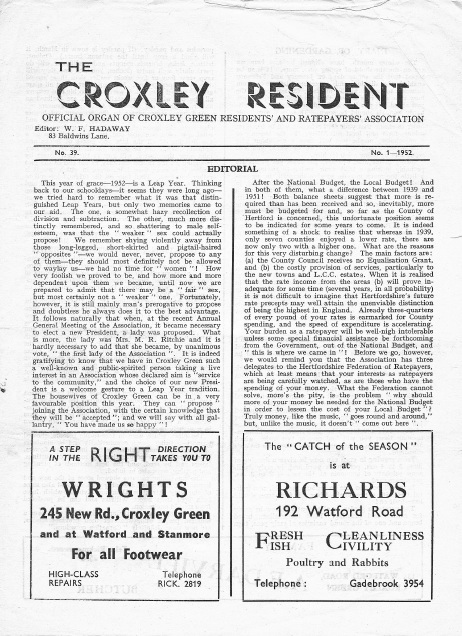 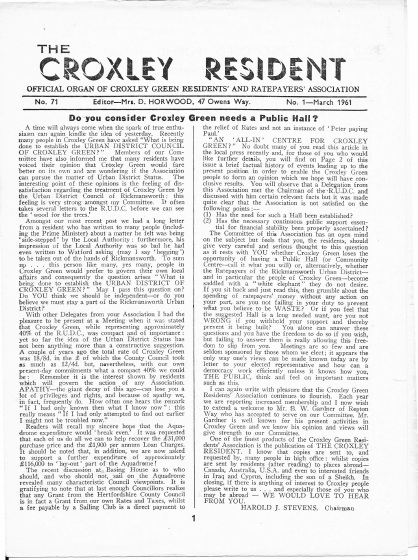 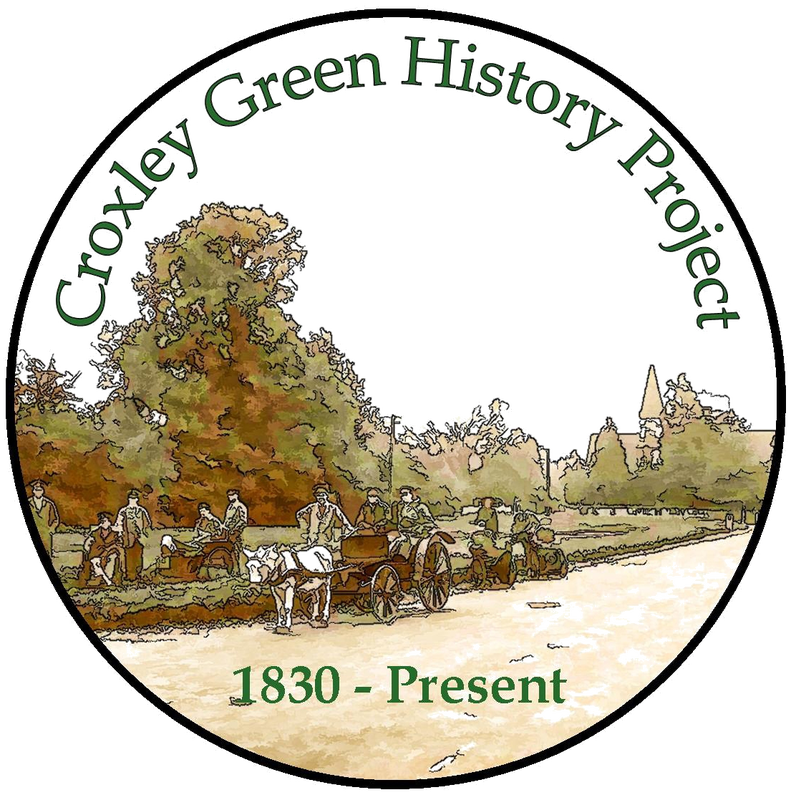 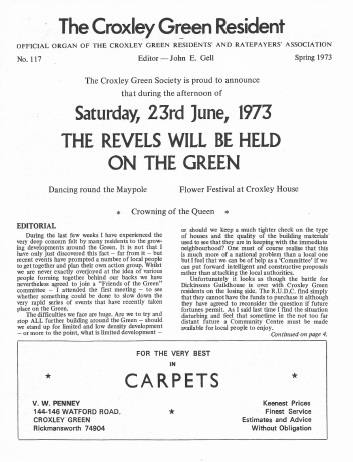 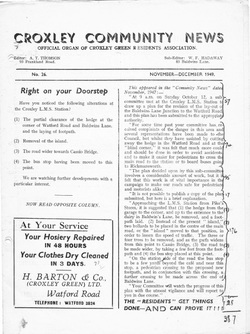 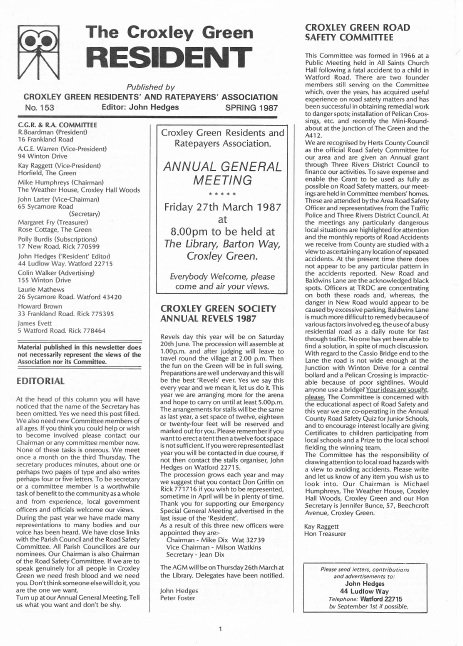 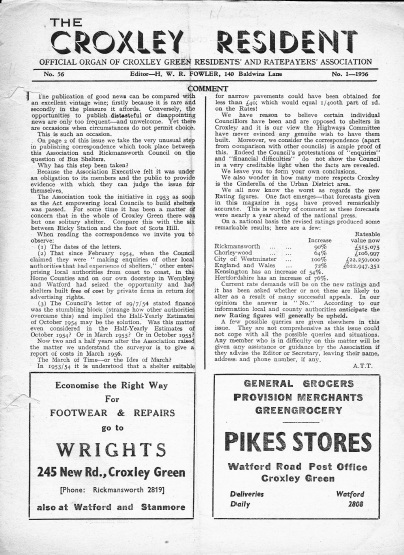 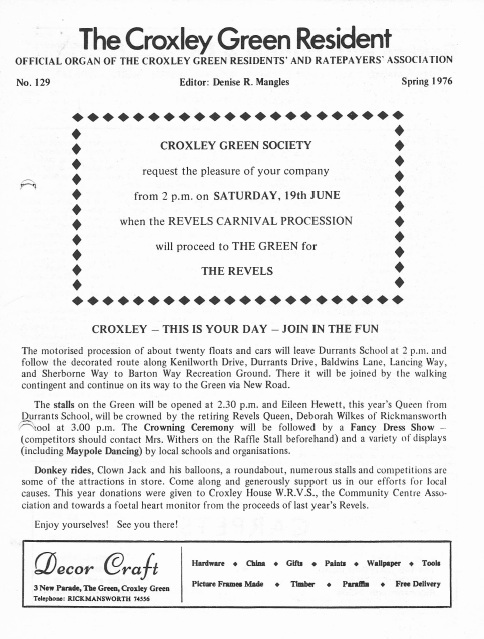 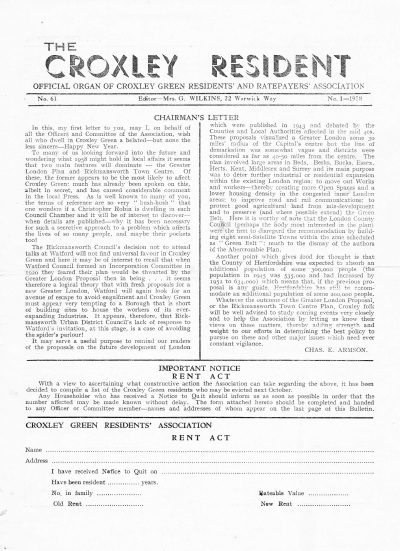 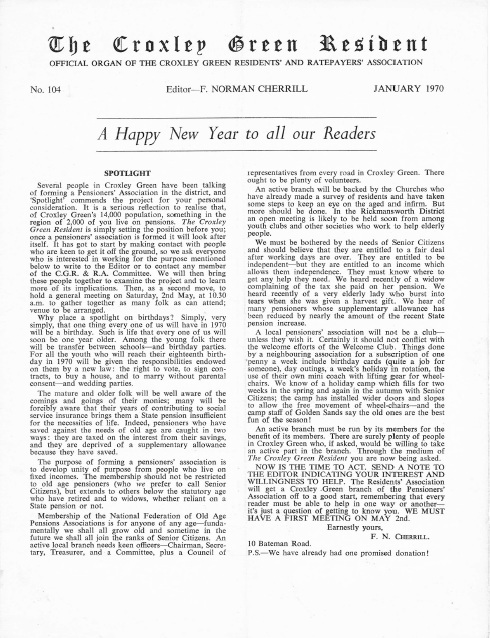 Below you can find our current issue and also the archive of all editions that we have managed to save for future generations and members to see what issues affected Croxley Green over the years. 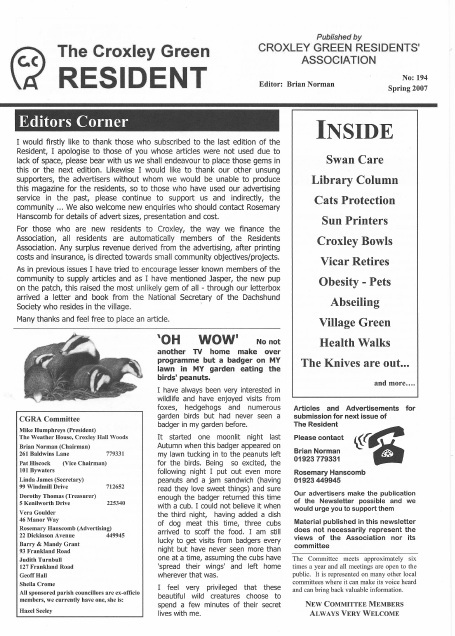 If you do have any of the missing copies, we will collect scan and return promptly.